So something that’s bothered me a lot in recent years is hearing people complain about petrochemicals in their perfumes and how, since these chemicals are in fragrances, the fragrances must therefore be bad for you. 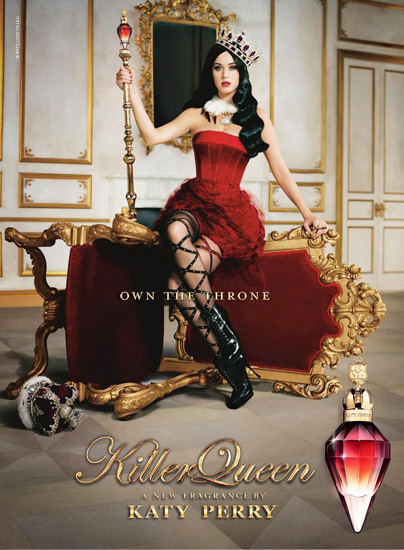 So, are perfumes or, rather, are the petrochemicals in perfumes poisoning you? No. Here’s the thing with petrochemicals, they’re in a lot of things and not just in perfumes. Nor are they in any significantly large quantities in perfumes compared to something like–say, a plastic bucket. I’m not a scientist and don’t pretend to be, but my understanding of petrochemicals is that they’re used in the manufacturing of a lot of products. From things you might expect like plastics, computers, electronics and furniture. Then there are the things I didn’t expect like in medicine. Then there are the cosmetics, which see a lot of petrochemical use as for a large variety of reasons. See, the thing with petrochemicals is, you really are fighting a losing battle if you want to avoid them. If you’re on the internet, reading this post then chances are, you had to touch a petrochemical product at some point seeing as computers are made of the stuff. Heck, the chair you might be sitting in is made out of it. Perhaps even the clothes you’re wearing, or the soap you use. When we think about how many products with petrochemicals in them or were made out of petrochemicals that we use, the numbers are really mind-boggling. I could cast my eyes around the room I’m sitting in right now and I’d actually have a harder time finding something that didn’t have a petrochemical in it or wasn’t manufactured using petrochemicals. Years ago, a friend and I were exploring “healthy” alternatives to big brand cosmetics. We were teenagers, barely into college. We liked cosmetics though. Having read something or seen something somewhere, my friend informed me of all the toxins inside of the big brand cosmetics we were using. We promptly swore off of them and looked high and low for alternatives–the more natural the better. Eventually, we found an all natural cosmetics line that boasted no preservatives for health-conscious individuals. The packaging was cute, done up in pastels and greens to really drive home that “nature” thing. I decided to ditch my big brand stuff and go for the natural line. Because hey, I was young, I loved make-up but I didn’t want to damage my body over it. With some of the things they say, it’s really no surprise that people become alarmed. I’ve heard everything from, “it’s an allergen” to “it causes seizures”. Long story short, a few months later and I had the worst acne in my life and my skin was horribly dry. My friend didn’t fare that much better. It seemed the longer I tried using the natural stuff, the worse my skin got. I’m not saying every natural alternative product will do this to people. A lot of individuals use these products to great success. But making my skin dry and break out was what it did to me, and that could be because my skin just didn’t mesh well with the product. I stopped using the natural stuff. The acne went away, the dryness got better too–but I was still out a lot of money and very disappointed that my foray into no-preservative cosmetics was a disaster. It also took a really long time to get my skin back to normal. I went back to the big brands after that. Almost a decade later and my face is still intact so I guess those petrochemicals aren’t that bad for me after all. The thing is, when I look back at the reasons why I tossed my cosmetics and jumped on the natural bandwagon was because I was afraid of something horrible happening to me. It took a while for me to realize that people have used petrochemical products for decades or even longer and a great deal of them are perfectly fine. How much does the use of petrochemicals in our every day lives really affect us? And does it matter to me that much in the end? How long do I expect to live if I swore off all the stuff that I enjoy because someone, somewhere (of questionable credentials, I might add) told me that it was bad for me because it’s not “nature made”? And do I really want to be around that long even after I gave up everything I like to do it? All I really know is that my face is fine and it’s been layered in petrochemical containing products a lot over the years. I’m still kicking and I’ve used perfumes almost daily for a while now. I also sometimes eat out of plastic bowls, drink out of plastic cups, sat on, laid on, stood on plenty of petrochemical-containing materials and I don’t think I’m any worse for wear. I’m a very new face in perfumes. Barely three years on my belt and not a whole lot of technical knowledge about the art. I don’t even like calling myself a perfumista or accepting the label because I still feel like just an admirer of fragrances, sort of like how I can’t and won’t ever call myself an art critic and am much more content as an admirer of art. I’m still on a discovery journey, and wanted to know how you all came to love, admire, hoard, or blog about fragrances. I wish they had this image in desktop wallpaper size. I started out probably in a very similar situation as most people. My mother liked fragrances, had a collection of her favorites that, to this day, whenever I smell I still equate to her at different points in her life. It was her collection that inspired me to start my own, seek out my own favorites. 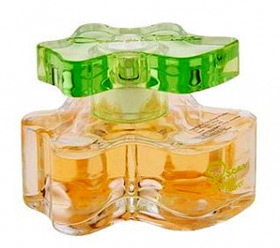 My first perfume was a Nina Ricci. Not one of the classics, of course. It was that apple thing, Nina that came out in 2006. I loved the stuff. I still love it even though it smells absurd on me these days. 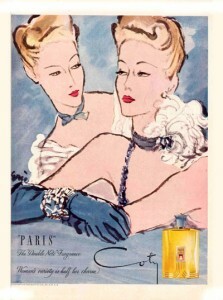 One day, I caught a whiff of Chanel No.5 after having been away from it for a few years. My mother wore No.5 since before I was even born. She had been taking a break for over a decade so when the scent jogged some memory in my mind, I had to find out what it was. Having no knowledge of perfumes at the time, still wearing my Nina and being perfectly content with it, I had no idea where to look or what I was smelling. When I described it to my mother one day, she wondered idly if it was No.5. The next day I smelled it at a department store, saw how many beautiful perfumes there were. Glass bottles, gorgeous displays. I wanted a vanity table covered in perfume bottles. I started collecting samples, all the samples I could get from department stores. Then I jumped online, started talking to others who liked perfumes. Found some friends whose addictions to fragrances netted them massive collections of exotic decants. The hoarding obsession for me actually started with Black Phoenix Alchemy Labs. I had ordered six samples out of curiosity, having been drawn to their line thanks to a friend. My first six samples didn’t turn out the way I liked. I read the descriptions of the samples I got, decided to go for the ones that my friend recommended and found them too strong for me. One of the bunch was impressive though. It was The Unicorn from BPAL (now discontinued). It was soft, flower, utterly feminine and brilliant to me. I got a full bottle of it that came with more samples. I tried those, liked more of them got more bottles, got more samples and it ballooned from there. While I was feeding my BPAL addiction, I was also testing out fragrances in department stores. Finding many of them delightfully sugary and sweet. I was young, smelling like a berry explosion seemed acceptable, but I couldn’t commit to any of them because I was still reeling in the BPAL collection that I was amassing. 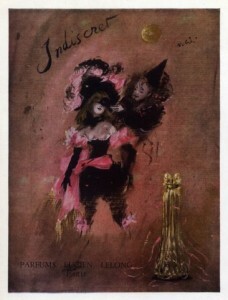 When I finally found something I liked, it was Guerlain’s Champs-Elysees. 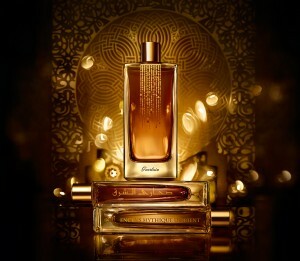 If I remember right, it was followed my Guerlain’s Samsara, then Shalimar. A bottle of Opium from YSL (not much appreciated at the time by me), Chanel’s Allure, Coco Mademoiselle. Then I jumped to the big boys by falling in love with Spiritueuse Double Vanille. From there, I got more serious and had started blogging a few months before. I started taking note of what scents I preferred. Writing down the stuff that I like and the stuff that I don’t to the point where I have amassed a list of flimsy maybe “yes” and possibly “no”. I found out shortly afterward, that notes that I like or don’t like didn’t necessarily lead me to winners and favorites. I still find that whether or not a fragrance contains or copiously uses a note that I love or loathe seldom correlates with how much I like the juice. It really is in how it’s mixed, the proportions, the combinations, the quality of the ingredients itself. The result is my position right now. I find that I like very general things. 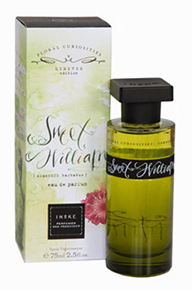 Scents that are classical, heady and historical. I like light scenes, clean things that aren’t aquatic. Authentic and spicy vanillas usually melt my heart. Good honey-based fragrances make my nose happy. Incense and spices and ambers keep me coming back. I’m turned off by heavy uses of cedar and aquatics–maybe I’m crazy, but I think a fragrance can smell clean without resorting to a bunch of aquatic notes. I don’t particularly like the sharp twang of generic woods that a lot of mass market men’s fragrances sport. Nor do I adore the sugary sweet fruity florals that I once used to love. I think perfumes is an ongoing journey that will never end. Even if the juices get more basic, more mass marketed, more sugary and sweet there’s still a huge amount of history in fragrances that used to be. And there’s still plenty of wonderful choices in the lesser known stuff. 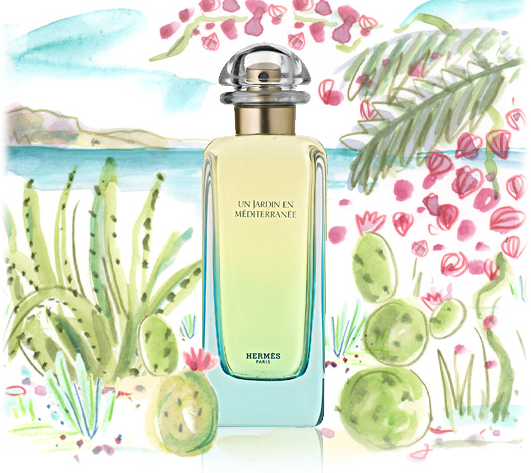 Niche and especially independent perfumery is more and more exciting place every single day. 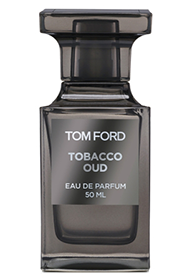 When Tom Ford dropped a tobacco oud fragrance, I dug it, having decided that I had enough of my clean, light fragrances and was going to go for something dark. In Bottle: Resinous and spice with a woody opening with a heady alcohol waft that opens rather powerfully. Applied: Like I said above, the initial application is very strong and heady. It smells of sweet resins, woods and spice. It makes me think of whiskey and while I’d like to get the tobacco oud, the strength of the other notes in the opening doesn’t quite allow for that. And as it turns out, tobacco oud is somewhat lacking in oud. It actually smells quite smooth, like a very good resin but is it a good oud? I can’t, personally, detect any of that. I get more spicy ambers than anything else and upon dry down I get the sandalwood and a very nice smokiness but still not all that much oud unless the amber I keep smelling is supposed to be a stand in for that. Tobacco Oud is actually not bad–actually, bad is probably not one of the words I’d use for this. I quite like it. I like the amber, I like the smoky incense, I even like the big, powerful opening. It’s got a nice, strong initial presence a good middle ground personality and a pretty delightful dry down with the smoky sandalwood with that touch of amber. But it wasn’t the dark, powerful scent that I was expecting and hoping for. Extra: Tobacco Oud was released in 2013. Interestingly enough and maybe I was a little swayed by the notes list was that it lists whiskey as one of the ingredients. Fascinating addition, though I never cared much for whiskey myself. I’m more a rum kind of gal. Design: Fairly similar design to many other Tom Ford fragrances out there. Nice shape, very classic. Easy to own and display if you’re into that kind of thing. Not too special or flashy or different from other Tom Fords. Good and reliable are probably two words I’d use for this design. Notes: Oud, tobacco, sandalwood, patchouli, spices, whiskey. So now I know that Tobacco Oud is probably not the kick I wanted out of a fragrance. Any recommendations for some really dark and smoky ouds? I have a hankering for one. Reviewed in This Post: Tobacco Oud, 2013, Eau de Parfum.